A recent study conducted by nine prominent orthopaedic surgeons and published in The Journal of Knee Surgery revealed the Attune Total Knee Arthroplasty System had an unusually high rate of failure, prompting calls for further research. The study came on the heels of the first (of what may be many) product liability lawsuits filed against Attune manufacturer DePuy Synthe, a subsidiary of Johnson & Johnson. The company promises the knee replacement devices, approved by the U.S. Food & Drug Administration’s 510(k) fast-track process in 2010, will improve range of motion and give patients a stable knee replacement for years to come. The American Academy of Orthopaedic Surgeons reports successful knee replacements can last up to 20 years or more. Over the last several months, however, the firm has filed several dozen reports with the FDA that document early failures resulting in destabilization of the knee replacement and painful revision surgeries. The recent study analyzed the high failure rate, and attributed much of it to the “debonding of the tibial implant-cement interface.” In layman’s terms, surgeons found that the adhesive being used to bond the implant and keep it in place is inadequate. This results in a loosening of one of its components, destabilizing the entire knee. Patients who undergo full or partial knee replacement typically have the damaged joint removed and replaced with one that is artificial, usually made of ceramic or metal. Part of this process involves using a strong adhesive to attach the artificial joint to the bone. If that adhesive is inadequate, the entire replacement will fail. As the the reason the adhesive seems to be failing, it’s not entirely clear, though some speculate it could be the result of a design defect. In most instances where the knee system has been shown to fail, the only resolution is for patient to undergo a second surgery to remove the implant and replace it. Many patients report undergoing the procedure a second time is more invasive and painful than the first go-around, and is often accompanied by more complications, such as extended recovery time and higher risk of infection. It’s estimated some 4.5 million Americans have knee implants, with about 710,000 undergoing the procedure annually, mostly for a diagnosis of osteoarthritis. These figures have continued to climb, but unfortunately, these devices haven’t always proved safe or effective. DePuy in particular has a long reported history of manufacturing defective knee replacement implants. According to a report by Consumer Reports, the top six knee implant device makers issued recalls on more than 700 devices over the course of a decade (between 2003 and 2013) due to flaws in the devices and/ or components. Virtually all of these recalls were issued by manufacturers, as the FDA only sparingly uses its recall authority (the government procedure being both difficult and lengthy). Of the 709 knee implant device recalls issued during that time frame, 277 were made by DePuy. That’s 38 percent of the total. Other top manufacturers included in the analysis were Zimmer, Stryker, Biomet, Smith & Nephew, and Wright. 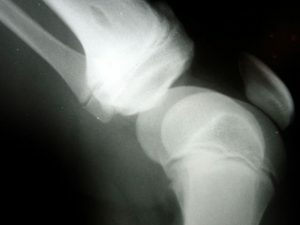 The majority of DePuy’s knee replacement device recalls (and all recalls for knee replacement devices) have had a Class II designation, which the FDA characterizes has a situation wherein use or exposure to the product results in temporary or medically-reversible adverse health effects. DePuy has also raised headlines as a defendant in thousands of product liability lawsuits claiming defects in its ASR metal-on-metal hip implant devices, which were also associated with high failure rates. The company, along with Johnson & Johnson, were ordered to pay $1 billion to six plaintiffs in California for failure to warn of the risks and ineffectiveness of these devices. It’s important to make clear that not all failures of knee replacement devices are necessarily the result of early failure. Sometimes patients may have pre-existing conditions that make them more prone to certain complications, and of course, that’s a risk with any surgical procedure. However, the issue with Attune, as noted by the recent study published in The Journal of Knee Surgery is its “unusually high” rate of failure. Attune is intended for total knee replacement candidates who suffer from severe joint pain or severe joint disability, usually from osteoarthritis, but also from post-traumatic arthritis, rheumatoid arthritis or a failed previous implant. The problem, according to the orthopaedic surgeons who studied it, appears to be that the cement/ adhesive used does not properly join the implant to the bone. Normally, when there are two objects bonded with adhesive, the surfaces are “rough,” indicating a good seal. However, surgeons conducting revision surgeries are reporting upon removal of Attune devices they are totally smooth. This isn’t the first time the efficacy of Attune has been called into question. Back in 2015, the FDA issued a Class II Recall for a component of the system. It’s not technically a part of the implant, but instead a tool used during surgery to assist in correctly positioning a patient’s bone. A coil in that tool was prone to coming loose, which meant there was an unacceptable risk it could get lost inside the patient. At The Law Offices of Jeffrey S. Glassman, our product liability attorneys in Boston understand that patients place great faith and trust not only in their surgeons, but also in the companies that manufacture devices intended for long-term human implants. But when manufacturers rush products to market without proper testing, the consequences to patients can be serious and painful. The first of what is expected to be many lawsuits against DePuy Synthes for the Attune Knee System was filed in the Circuit Court of Tuscaloosa County, Alabama recently. An experienced injury attorney can help you ascertain whether you have a viable claim after premature failure of your knee replacement.